Description: Known for its fiery kick and strong aroma, this spice has wide-spread use in both foods and medicine. Originating in South Asia and still most popularly used in that areas, ginger can be added to almost any food to give more flavor. In western culture ginger is most commonly seen in ginger ale, gingerbread, or ginger snaps, although it is still used to add flavor to many dishes. Ginger is available year-round and has shown to be incredibly versatile with it being used to produce certain types of liquor as well as producing a very popular ginger tea when steeped. The spice itself is from the underground rhizome of the plant which varies in color but is covered in brownish skin.. 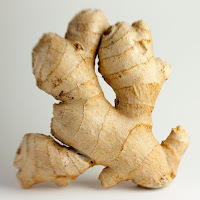 Kitchen Pharmacy: Ginger has many medical uses and perhaps most notably has proven to be effective in treating nausea especially from pregnancy. In addition to that ginger is believed to help reduce dizziness as well as the risk for arthritis. 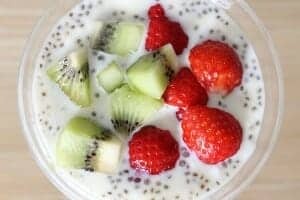 It also believed to alleviate gastrointestinal distress and some people believe it can be used to improve your appetite.